Baseboard heat is the most expensive heat, but it sure does feel good. Gas heat feels good, but unless you spend a fortune on a super efficency furnace, a lot of your gas dollars goes up and out the flue pipe. I don't care for gas and oil furnace due to cost of repair, danger with cracked heat exchanges and fluctuation of gas cost. The fluctuation of cost is a moot point though with the recent drastic increase in electricity cost. Did anyone else get their bill for last month!!! Heat Pumps are typically what the name implies. They pump heat that is extracted from the outside air and many factors contribute to how efficiently they "Pumping Heat (HP)". Outside cold temperatures is one of them but most HP's have electrical resistive heating elements that kick in when the HP cannot pull heat out of the outside air. At that point the HP becomes a electric heater in a forced hot air system. HP's are used all over the country not just in the Raleigh area. Average winter temps for the Raleigh area and points south make HP's a cost conscious alternative for heating ones home. Also in many homes the HP's are not the primary heat sources but are supplements to other traditional heating systems. So one can gain the savings when they are operating in their 'sweet spot'. As far as forced hot air or as some say forced 'dessert dry' air. Being the cooling season is long in the south one needs to distribute the cool air around the home via air ducts. So that becomes an investment that is used to distribute hot air in the winter. It would not make sense to have air ducts and say a hot water baseboard heating system installed in your home. The ducts are also cheaper to install and maintain over there operational life span than say in-wall air conditioners. Radiant heat is certainly an alternative and some new homes have been installing it. Its expensive to retrofit an existing home with radiant heat pipes and is usually done during major home renovations. The fuel source for the radiant heat can be oil, gas, and electric. Also, the generation of the heat to the radiant system can in fact be a gas furnace, electric resistive, or a HP. They can also install solar panels to make daytime heating more cost effective. IMHO I would not say they are useless under 30 degrees. One just needs to know there limitations and features in order to ensure one get the proper HP installed in their home irregardless of where geographically their home is located. Now if you mentioned Propane my heat spectrum meter would have peaked at the Red to Orange scale! The fluctuation of cost is a moot point though with the recent drastic increase in electricity cost. Did anyone else get their bill for last month!!! Electric rates didn't go up, your usage did . In fact they went down slightly IIRC. Electric rates didn't go up, your usage did. In fact they went down slightly IIRC. I just looked at my January Duke Energy bill. I had to do some calculating, but it appears the rate went up slightly from January 2009 to January 2010 - from .0836/Kwh to .0871/kwh. I have gas heat so I can't complain about the cold and since I'm hot natured, my upstairs is set at 65. Daughter complains but then, she is running around in short and a cami. Duh! I have noticed in years past, that it seems to me that our weather has gotten more extreme. It does seem that our winters are colder, and therefore, I agree that maybe the heat pump is no longer suited for this area. However, if you have a heat pump and you are cold natured, SunnyKayak's idea of the space heater seems a wonderful idea. As long as they dont' run up your electric bill. Alas, if only those of us in older homes that still have functional HVAC systems could jump in the way-back machine and go back in time to tell the builder to install something else altogether. Sigh.... I guess we'll just have to make do with what we have until it's time to replace. BTW, if you really want 'cheap heat,' get a premium down comforter and use that when you're just hanging out, get a big hairy dog who likes to cuddle, and wear some fleece items. Oh yeah, you'll be warm! Progress hit us with a 10% hike. Don't know about your situation. They went up but then recently went down to do declining fuel costs IIRC. Like so many, this question has no simple answer, and it's all about economics. Up north there is a lot more days when it's cold than when it's hot. The actual temperature range also is greater, (It gets to a colder temperature, and stays colder for a longer time, up north). And of course the opposite as you head south. A residential heat pump system is more suited for providing mostly cooling, with a bit of heat. They all should have some auxiliary (sometimes called "emergency") heat for when it gets colder than about 45 outside and it's too cold for the heat pump to extract heat from outside for use inside. And the price of fuel varies from location to location. A proper assessment should analyzed all these factors, plus the costs of installation (or retrofit), and the cost of maintenance, and the projected costs of fuel. 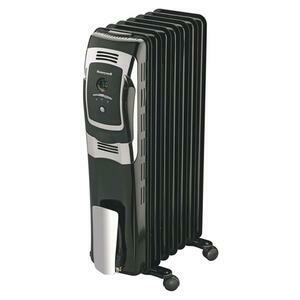 If you are just a bit cool, then the above posts about getting a space heater is a great idea. If you are seriously considering installing a full or major part of your HVAC system (replacement due to age, expansion, or you are building a new house), they you will be spending a minimum of several thousand dollars. With that kind of budget, most mechanical contractors would be glad to do the above analysis for you. They have forms to fill in showing the calculation process, and they know the installed costs of heat pumps vs gas furnaces vs duel-fuel systems vs pure cooling & radiant heat systems. They know how to include the math of the local weather (using heating degree days and cooling degree days), and they know the costs of the different fuel options (elec / nat gas / propane / fuel oil). They should be able to talk with you about what you want, need, and can afford, distilling down the options to two or three, and then they do the math. The results will show you what you get, for how much you have to pay. Maybe you want to pay a few hundred more to have a house with normal AC, but with hot water floor radiant heating, or maybe you want the ultimate cheapest. But this way, you know the options.